This fully customizable ring is a semi-mount, priced with a CZ center but ready to be set with whatever stone you'd like! The engagement ring is accented with 0.20 total carats of diamonds, and is pictured here with a 1 carat round center. Each one is made to order, usually ready within a month. 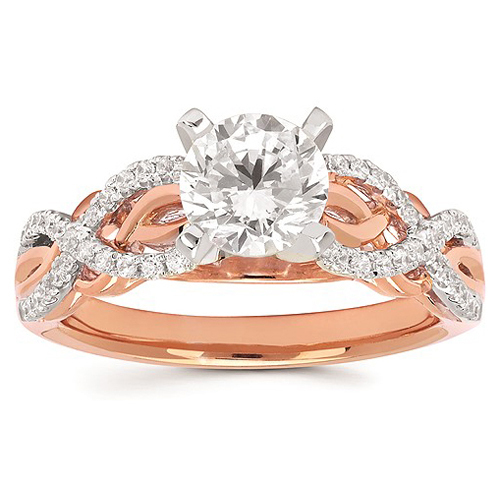 A matching wedding band is also available for $1,195, featuring a total of 0.20 carats of diamonds.